This is a sponsored post written by me on behalf of HP. All opinions are 100% mine. Happy holidays to you and yours! So until just a day ago, I was still looking for the perfect gift for my husband. See, every year he tells me not to get him anything and every year I try to surprise him with an item I really know he will love. Imagine my surprise when I found the perfect gift at Sam’s Club while I was picking up a few quick things for a holiday party! 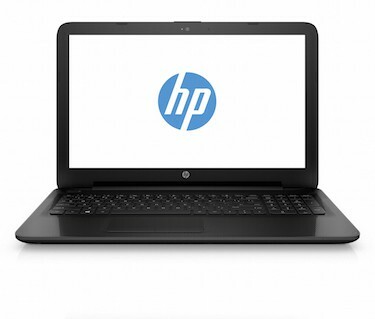 So lovely readers, have you ever purchased an HP Notebook at Sam’s Club? 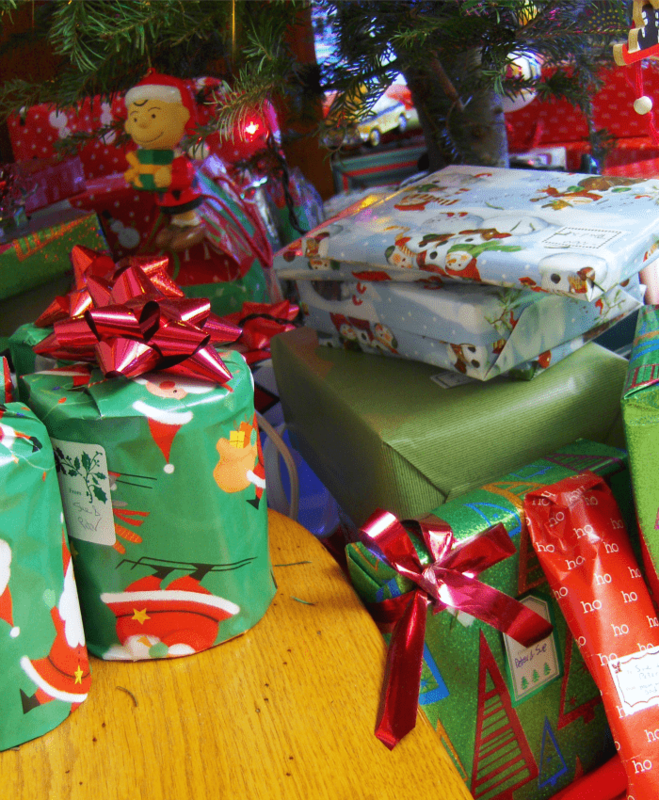 Do you have any last minute holiday gifts left to give? Tell me who you would buy this notebook for in the comments! So I’ll let you in on a little secret. This year I had decided the perfect gift for my hubby was going to be a new laptop. He has been working hard and I knew he wanted a laptop for at home that could do a little bit of everything both for work and for unwinding in the evening. Little did I know I would stumble across the HP 15-ac157cl Notebook at Sam’s Club, but the price on this notebook perfect for everyone from techies to light users. The great price had me driving this notebook home to wrap it in a bow. 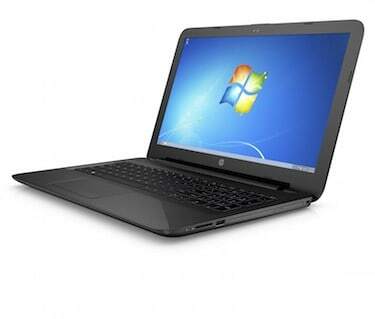 The HP 15-ac157cl Notebook from Sam’s Club is a perfect surprise gift. Can you find it under my tree? I’d like to think I am a savvy shopper when it comes to a purchase like a notebook and I always do my research. I had already decided buying my next notebook from HP was the way to go. I wanted a notebook that was efficient, user-friendly and had a great price tag attached. Just last year I bought a notebook for myself and have loved the easiness of my own HP notebook. I had been keeping an eye out for the perfect notebook for my hubby. So the secret I won’t tell my husband is that I found the perfect HP Pavilion laptop at Sam’s Club at the same time that I picked up the snacks for his office party. If you want a last minute gift that will wow somebody, or just need a new notebook for yourself you need to take a look. The Intel Core i5 processor is super-fast, and will keep up with big projects. This notebook also features a touchscreen that will blow your mind, and will easily stream all your favorite shows. Netflix and chill anyone? I seriously love a touchscreen for streaming media online, and I find it makes it easier for following recipes and all kinds of other DIY tutorials online. Especially yoga, a touch screen makes it so much easier to follow yoga moves online. Here are just a few of the stats on this laptop. Whether you are looking for a laptop for a holiday gift, equipping your favorite student with equipment, or just want to keep it for yourself this notebook will get the job done. This is a great choice for light to medium users who surf the web, stream, use word processing software and even for the light to a medium use gamer. That 8 GB system memory paired with the 1TB hard drive won’t let you down. I also know the battery life on my HP’s have been very reliable, and I expect this laptop will be no different. This notebook will serve my husband well, and it will do the same for you too! Where Else Have You Seen the Cast of The BFG? I’d love to get a new HP Notebook. We’ve always had good luck and longevity from our HP electronics in the past! Sam’s is one of our favorite stores for electronics and purchases in general. This HP laptop sounds really great! I wish I had a Sam’s Club near me. My family in Pa. has one near them and they do all their shopping at Sam’s Club! I love shopping at Sam’s Club! Sounds like they have some great HP items for the holidays or all year round! Thanks for sharing. Lucky husband! I bet his reaction was priceless!! He was so excited, we’ve barely pulled him away from it since Christmas! I have made purchases at Sam’s but it’s been awhile. The notebook sounds really nice! Sounds like a great gift for husband. HP is an awesome brand, so I’m sure will be excited! HP is a great brand, it’s reliable and if you take good care of it, it will last for many years. Thanks for sharing this! It’s really an awesome gift to give to someone you love. This sounds like a great holiday deal! We love shopping at Sam’s Club – they have awesome prices. My Hubby already has an HP he has had it for 6 years, and it still works perfectly…thats something to say for the product! We dont have a Sam’s Club over here! I need a HP laptop just for my Pinterest only my old one went home. I never goes to Sam Club need to join to get the savings. My niece owns an HP laptop and loves it. Looks like it makes a great gift. What a great present to receive this Christmas 🙂 I wish we had sams club in the UK. My last laptop was a HP. I would love to have another HP laptop. The one I am currently using is of a different brand is about to retire. I will look into Sam’s Club for pricing. I am sure they’re offering a great deal.